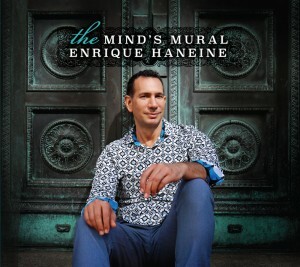 Enrique Haneine’s previous album saw him leading from the piano, but The Mind’s Mural finds him doing so from behind the drum kit. Born and raised in Mexico, but now a New Yorker, Haneine has a knack as a composer for both sinuous rhythms and free-flowing lyricism. His quartet for The Mind’s Mural—two horns plus bass and drums—often evokes a smooth, pure-toned version of the vintage Ornette Coleman weave, with the absence of a chordal instrument leaving plenty of space for Catherine Sikora (soprano and tenor saxophone) and Anna Webber (tenor saxophone) to wind melodic lines around and across one another, often creating harmonies between themselves. “Life Of Its Own” has a Middle Eastern feel (with the composer perhaps tapping into his Lebanese ancestry), though the piece also ends up hinting at classic Ethio jazz. For all the excellent playing by Haneine and Rosa, much of the leader’s music depends here on the tonal and rhythmic chemistry between Sikora and Webber, and they play like kindred spirits on this track, as throughout the album. Personnel: Enrique Haneine, drums, percussion; Catherine Sikora, soprano, tenor saxophone; Anna Webber, tenor saxophone; Carlo de Rosa, bass.